I bought my D5 in Berkley in 1978 and have used it for every camping trip since. I also use it for most of our family trips as my suitcase (I check it with our other bagage). It's a lot easier to carry away from the luggage carousel! The D5 has been around the world with me! It is very comfortable to wear, the hip belt/hinged "u-frames" are very effective at transfering the load to your hips. Height of Owner: 6' 3"
I purchased my D5 in 1976; I used it last weekend in Sedona! It's simply a great pack. I've carried between 65 and 70 pounds in it. (Guadalupe, TX--no water on top) It creaks and moans under the weight. I carry lightweight wrenches and cable ties for field repairs; it's in pretty rough shape and makes a great conversation piece on the trail too. 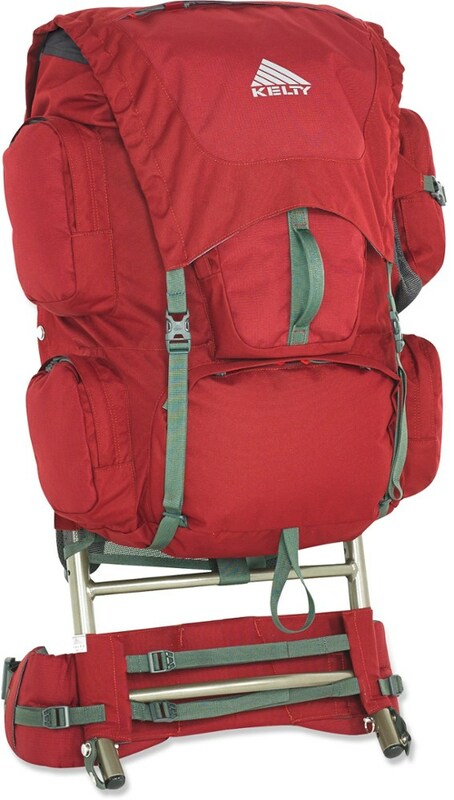 I want to have my JanSport tent refinished because the lash straps on the pack match up to the loops on the tent bags. Also, other b'packers get jealous when I pull it off and stand it upright on the hip-hoops. It's a great backpack! Price Paid: $120 in 1978? Got it so many years ago that I can't be sure what I paid. Maybe $120. 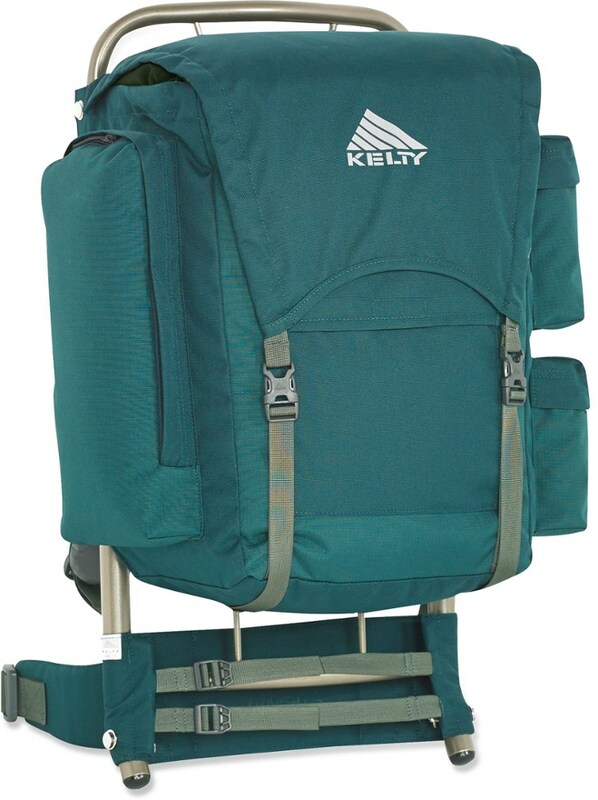 Simply the best backpack ever. I still own two of them. I believe that mine is the D-5 model, the d-3 is taller. I believe that mine is the D-5 model, the d-3 is taller. I bought it nine years ago, and have had it all over the country. The special "wings" that transfer the weight of the load directly to the hip bones are remarkable. On every trip I have been on I carried more weight than the other hikers. The surprising thing is that the others would ask to trade packs with me for a mile or two to take the weight of their backs. A great pack if you can find one. Please e-mail me if you want to sell one. The D5 was my 2nd pack. It was a step up from a canvas back with shoelace tiedowns and an aluminum frame held together with screws. What an amazing step up. 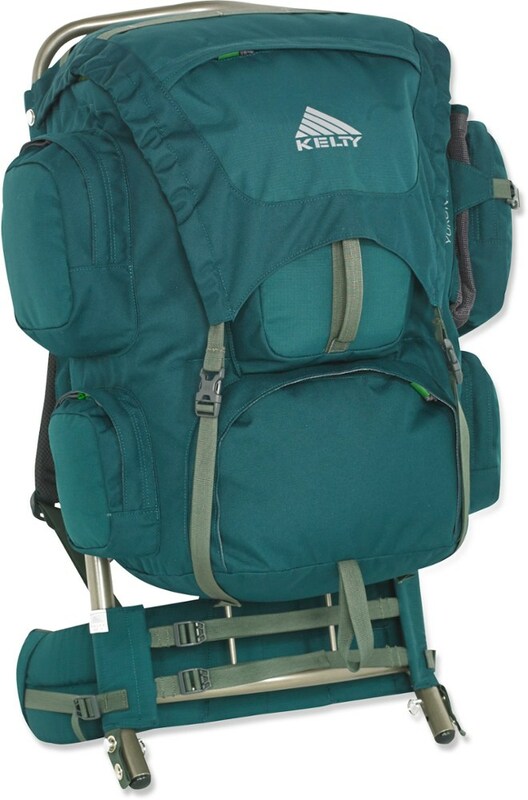 I got this pack in '76 and took it on weeklong trips up San Gorgonio, San Jacinto and Whitney. As a Boy Scout, I took some ribbing for the weird looking wings on the waist belt. 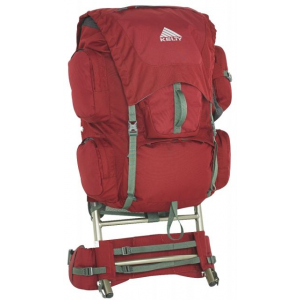 But I got a lot of converts when I let my fellow scouts try it on and feel how well those "wings" center the pack weight over your legs. 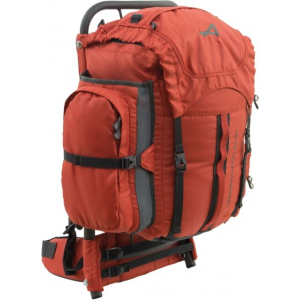 This old pack was a real lightweight in its day and still stands up pretty well compared to some of the best modern packs. I still have it, but all the waterproofing has worn off the inside of the bag, so I figured it was time to retire it to the attic. It may still see some trail use someday. Does anyone know where you can buy a good used Jansport D3 or D5? I'm not sure which is the largest. I loved my old one till I wore it out, and Jansport (which is their loss) doesn't make them anymore. The D5 has been discontinued. 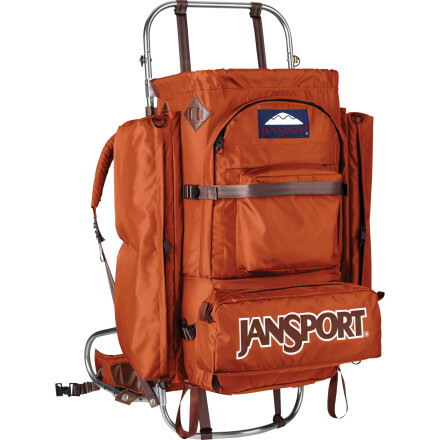 The JanSport D5 is not available from the stores we monitor.